Ukrainian leadership must be very weary these days. It was reported yesterday that Russia has again escalated its conflict with Ukraine by threatening (again) to cut off gas supplies within the next two days if Ukraine cannot pay Gazprom, the Russian energy giant, what it owes. As fighting rages on in the east, winter rages on throughout Ukraine and Europe - natural gas is literally vital to the survival of many throughout the next several weeks. The natural gas dilemma also constitutes a severe economic threat to Ukraine, who has banned the purchase of foreign currency as its own continues to slide. Ukraine's economy is hanging on by a thread these days; any disruption in energy supplies would be catastrophic. Europe, too, is not in the most secure of financial positions - particularly the eurozone. With much of Western Europe's natural gas supply coming from Russia in pipelines that run through the Ukraine, they stand with as much to lose as Ukraine itself. Perhaps most frustrating about Russia's threat is that the Ukraine alleges it prepaid months ago a sum large enough to cover their natural gas supply through the whole winter. So where is the discrepancy? It lies in Eastern Ukraine, which has been controlled by pro-Russian separatists for months. Russia has been pumping gas directly to the separatists through different pipelines in order to keep them warm as they serve as proxies in the fight to shatter Ukraine's sovereign borders. 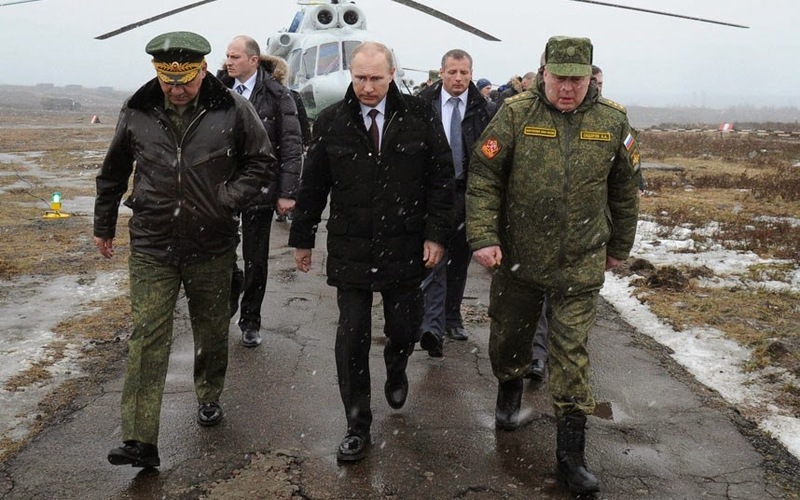 Russian President Putin is calculated in doing this: he can support those loyal to him across the border, without having to financially support them. All he has to do is argue that the region is technically part of Ukraine, so the energy supplied there comes out of Ukraine's budget. Meanwhile, most likely according to Putin's plan, all of Europe is slowly destabilizing. Lithuania yesterday reintroduced conscription, out of fear of Russian aggression spilling over into its borders the way it did Ukraine's. Lithuanian leaders estimate adding 3,500 or so additional soldiers to their army each year, at least for the next five years. While not instituting a compulsory policy like their neighbor, Latvia has also pledged to ramp up its military spending and bolster its armed forces in the event of Russian aggression. If nothing else, the conflict in Ukraine has put the entire former Soviet bloc on edge as it creeps closer to an all-out armed engagement. Russia's unpredictability has only exacerbated anxieties. And yet, the separatists in Eastern Ukraine march forward, this time to the port city of Mariupol. Should this be their destination, it would mark a significant shift in the conflict - Mariupol is on the way to Crimea, and it would indicate that the separatists are making an effort to carve out a path connecting their stronghold farther up north to the annexed Crimea. France's foreign minister has already warned Russia that this would be a red line, suggesting a retaliation of some sort, although this is a weak threat considering the fact that the conflict has lasted months without any direct military intervention from the U.S. or any European country. Should Ukraine fail to secure Mariupol, it's hard to see any real, effective response from the west. So what is Ukraine to do? For starters, it's time to give up the east. This is a frightening suggestion, one that seemingly defies the logic that has kept the developed world relatively conflict-free in the 21st century. And there are major downsides - most notably, that it will be giving Russia what they want, and incentivizing similar action in other corners of the former Soviet bloc. But it is a necessary action, one that will mostly free Ukraine from conflict while stabilizing their economy. 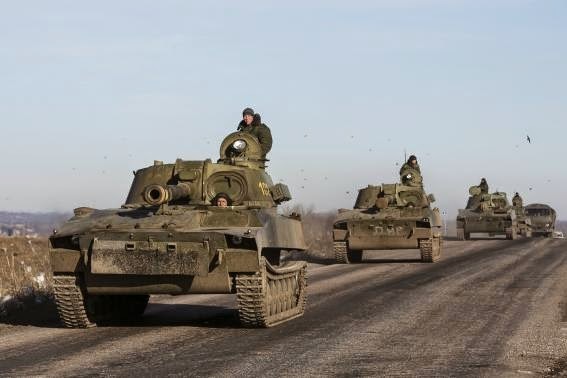 As mentioned earlier, Russia has effectively equipped rebels in eastern Ukraine and enabled them to successfully fend off Ukrainian soldiers, while placing the entire financial burden of the roughly three million who live in the east on the shoulders of Ukraine. This is too large a burden for a country that is just barely remaining out of the grip of default, and undermines their military's position in the region. By ceding the region to Russia, the separatists will become Russian citizens; the three million that live there will look to Russia for financial support, and it will no longer be possible for Russia to wage conflict in Ukraine under the thin veil of the separatists being "Ukrainian citizens". Now, this is one belligerent nation attacking another - something that would garner a much swifter, and severe, response. Ukraine will also be able to slowly allocate their meager finances elsewhere, such as industrial development (importantly, development that no longer relies on the fossil fuels Russia has stockpiles of), economic development, and independent energy supplies. This will be a long and difficult journey, but with the proper finesse, Ukraine can shift its economy and reach a modest stability that will allow for job growth and better ties with the eurozone. When (if) the conflict dies down entirely, foreign investment can accelerate this growth. This is not a panacea, however. In the meantime, Ukraine and the rest of Europe must find alternative sources of energy in an effort to release themselves from the influence of Russian energy. Winter is far from over, and if Russia makes good on its promises to stanch the flow of natural gas, no amount of territory Ukraine cedes will save it from a humanitarian epidemic of unfathomable proportions. Energy must be sourced from Scandinavia, the U.S., and, if possible, the Middle East. And finally, Europe and the U.S. must ramp up their support for Ukraine. There is a difference between neoconservatism and the war-mongering associated with it, and a calculated approach at how to support a struggling military that is defending itself against a truly existential threat. Great Britain pledged 75 military advisors to Ukraine, which is a great start. But until more arms are provided, and, more importantly, there is more humanitarian support from those who can afford it, Ukraine will continue to be on what appears to be the losing side of this conflict. Ukraine has been at a crossroads for some time now. This conflict has killed thousands and is emerging as one of the greater crises Europe has seen since the breakup of Yugoslavia decades ago. The status quo is decidedly not working. Without a dramatic change in the strategy and overall goals of Ukraine and western Europe, nothing but a bleak 2015 (and probably longer) awaits, as Russia fortifies their foothold in Ukraine, potentially expands their aggression elsewhere, while the economies of the west erode. Alexis Tspiras, the figurehead of the Greek Syriza party and newly elected Prime Minister of Greece, campaigned on anti-austerity policy that seemed almost recalcitrant - much to the chagrin of the eurozone, and the praise of the Greek public. Since the collapse of the euro during the global financial crisis years ago, Greece's economy has just barely kept its head above water; today, the country's debt is roughly 175% of their GDP, and unemployment remains at an astounding 25% for the working age population and nearly 50% for youth. Bailouts from the Central Bank, IMF, and other creditors have required extreme austerity measures for Greece, which has exacerbated and even created the social inequality and what leaders in Greece have begun to call a "humanitarian crisis." These issues gave rise to the anti-austerity sentiment that Prime Minister Tspiras used to propel himself into office recently. Based on the sweeping support his party received, it is apparent that the public is ready for a change from the harsh austerity it has endured. That change will not be coming anytime soon, however - at least not as dramatic a change as Greece has hoped for. Prime Minister Tspiras' rhetoric alarmed creditors, and it has taken weeks for Greece to reach a compromise on reform plans that continue certain austerity measures in order to continue receiving bailout funding. This comes after talk of a "Grexit", or Greek exit from the eurozone, which would likely have had catastrophic effects on both the Greek economy and the eurozone's economy. Both sides have worked hard to ensure that this does not happen. These compromises - tax reform, better regulation of smuggled products, etc. - are a major political blow to Syriza and Prime Minister Tspiras. This is not the anti-austerity his constituents wanted. In the battle between idealism and reality, idealism seldom wins, and it has certainly not won in this instance. 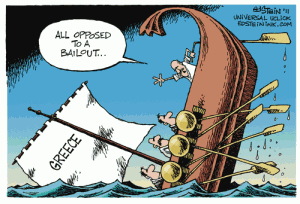 Greece will live to fight another day, however, and that's what matters. Reality should play a larger role in discussions about the eurozone as a whole, though. The notion that multiple countries with wildly different cultures, languages, and most important, economies, can share a currency is irresponsible at best and dangerous at worse. It is simply too difficult to manage a currency when you have a spectrum of economies that ranges from Greece to Germany (which has nearly full employment today). Just because the eurozone has staved off a Greek exit and economic catastrophe does not mean such catastrophe is not inevitable. Real reform - reform that puts the European economy on the right track - involves a comprehensive overhaul of the eurozone and the way the Central Bank functions. Greece may have avoided the financial apocalypse for now, much to the disappointment of Prime Minister Tspiras and his constituents, but a bandaid on a gunshot wound is not an effective policy going forward. Forty-five people burned alive in western Iraq. Twenty-one Egyptian Coptic Christians beheaded by the sea in Libya. Five Western aid workers and journalists executed, one Jordanian pilot incinerated, and two possibly related terrorist attacks in Western Cities. All in addition to the tens of thousands of victims killed or forced into displacement by fighting in northern Syria and Iraq. If Islamic State is seeking to bring about signs of End Times, they are doing a pretty good job. Increasingly, policymakers are forced to take seriously the Islamic State’s self-declared mission: to bring about the Day of Judgment by sowing chaos in the world in the lead-up to the return of the Mahdi. 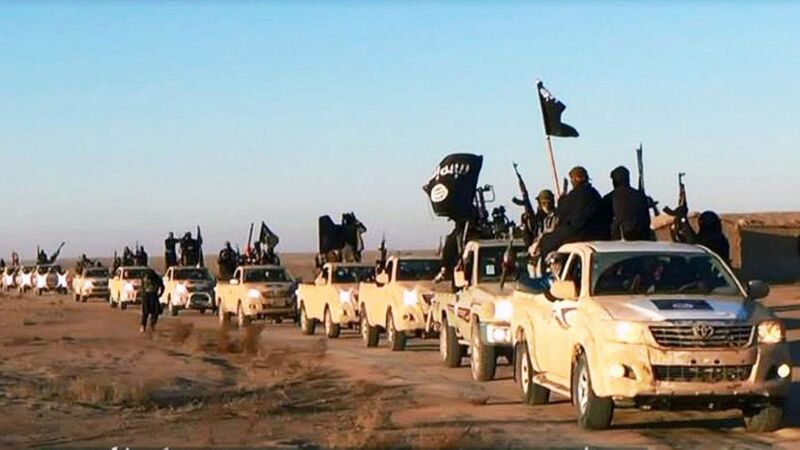 The Four Horsemen of the Apocalypse ride Toyotas, who knew? The only thing more terrifying than a power-hungry Islamic State that uses scripture as a pretext for brutality is one that actually believes in it. While Al Qaeda’s stated goals were largely ones of retribution against the West and its allies for perceived injuries to the Muslim-majority world, the Islamic State's doctrine has confounded policymakers due to its seemingly earnest belief that the apocalypse – and thus paradise for true believers – is at hand, and indeed can be pushed along by worldly deeds. Drawing upon Koranic texts that suggest the End Times will be signified by a battle between the armies of “Islam” and “Rome” in northern Syria (in the town Dabiq, which Islamic State already controls and has named its journal after), the Islamic State strategy of directly goading the United States into intervening in Syria and Iraq becomes much more rational. By drawing the US into battle, Islamic State would have its “Army of Rome.” And defeat of this army is just the first phase of the apocalypse. Yesterday, in a letter to the United States Congress, President Obama formally requested an Authorization for the Use of Military Force (AUMF) in the fight against the Islamic State. Obama has been operating under and defending the current strategy against ISIS as within the scope of the two AUMFs passed under President Bush: the 2001 AUMF, which authorized combat operations in Afghanistan, and the 2002 AUMF, which authorized the Iraq War from 2003-2011. The President has sufficient authority as the Commander-in-Chief of the Armed Forces to conduct the current operations against ISIS, but opposition has grown louder in the face of the terrorists’ expansion into Syria. The AUMF proposed by the Obama Administration limits authorization to three years, thus avoiding embroiling the US in large-scale ground combat operations with no end in sight, which was the case with the operations in Afghanistan and Iraq. The President’s AUMF does not address the enduring 2001 and 2002 AUMFs and while it restricts the use of ground combat operations, it also excludes existing ground troops (ex. the US military personnel currently in Iraq) from these restrictions. This AUMF would allow the President to deploy new military personnel in the roles of intelligence collection and sharing, advisers, special operations forces, combat search and rescue personnel and Joint Terminal Attack Controllers to assist US air strikes. Lastly, this AUMF would sunset the 2002 AUMF, but not the 2001 AUMF, as the latter serves as legal justification for the broader war on terror. Two aspects of this proposal are striking: it commits President Obama’s successor to operating under its terms for at least the first year of office; and it also does not significantly expand existing efforts against ISIS in any way. The proposed AUMF seems to lend political cover to ongoing operations against ISIS, which are comprised primarily of targeted airstrikes and operations against ISIS under Operation Inherent Resolve. This strategy has also placed upwards of 1,400 US military personnel in Iraq and costs on average $8.4 million per day. The current strategy, according to President Obama’s announcement last September is to “degrade and ultimately destroy” the Islamic State. The new AUMF proposes a continuation of this strategy, even through our current efforts seem to be yielding very little in the way of military gains against this fluid enemy. The existing military operations against ISIS will not accomplish the intended goal of annihilating the terrorist group as it has proven much more dynamic, adaptable, and better funded and staffed than previous threats. Containing, let alone defeating, ISIS will require a robust and much more comprehensive military effort, which is possible under the terms of the current AUMF, but which may not necessarily be palatable to the American public. The new AUMF promises to prevent another open-ended military commitment to the region, but perhaps also promises to prevent significant victories against this terrorist outfit. There is a new sense of urgency in Ukraine this week, as a major rebel offensive has shattered the five-month ceasefire agreement and brought the death toll up over 5,000 since the conflict started some nine months ago. Ukraine finds itself in a difficult position, as it struggles on two separate but completely related fronts: their floundering economy, and their military-occupied sovereign territory. Without major successes on both fronts, Ukraine may find itself in a dangerous position in weeks to come. Earlier this week, the United States made headlines on the subject when President Obama suggested that he was considering delivering defensive weapons to Ukraine in order to assist in their fending off rebel onslaughts. This is a major new development, and indicates that there are very real concerns on the part of the Western world when it comes to the security and the stability of Ukraine. Months ago, there wouldn't even have been a debate on whether military assistance was necessary; today, it is a very real possibility. Russia is understandably unhappy with President Obama's musings. The Kremlin has stated that any military support of Ukraine by Western countries would be perceived as a direct threat to Russia - a hypocritical statement from a country that used its military force to "liberate" part of Ukraine's sovereign territory just months ago, instigating the entire ongoing conflict. However, Russia's warnings should be taken with more than a grain of salt. Despite ramped up sanctions, Russia's ruble has stabilized, and while oil prices remain at unusual lows, it seems as though Russia may actually be able to weather their financial malaise. The Ukraine, on the other hand, is having serious economic troubles. The hryvnia plummeted earlier today following decisions by the Ukrainian Central Bank to raise interest rates. Foreign reserves are at virtually an all-time low, and with the war raging on, Ukraine's bank accounts are draining. They need to stabilize their currency and get their finances in order quickly if they have any chance at avoiding a major default or forfeiting the war due to lack of money. Because of this, there has been a renewed effort from the rest of Europe to broker a peace deal, and fast. Leaders from France and Germany were in Kiev today laying out the conditions of a new peace agreement that would hopefully put an end to the conflict - at least temporarily. Secretary John Kerry was also present, and while not an author of the peace deal, put American support behind it. This peace deal may be a last-ditch effort, and the significance of it is not lost on Ukraine. Without some sort of renewed ceasefire in the coming weeks, should the conflict intensify, Ukraine will find itself gasping for air and desperate from support from the U.S. and others that perhaps may never come.